An offer to purchase some or all of shareholders’ shares in a corporation. The price offered is usually at a premium to the market price. Most tender offers should simply be ignored. Whatever is being offered, the ones making the offer are on the other side of the deal. Usually ignoring the offer allows you to keep your shares and wait to sell them when you want to realize capital gains. But sometimes the tender offer is to purchase *all* the outstanding shares of a company at such a premium that the board of directors agrees that it is in the best interest of shareholders to sell. When that happens, your shares will be sold regardless of the action you take. Sometimes you get shares in the new company and your cost basis transfers to the new stock. But more frequently you will be paid in cash and your gain, in any, will be realized whether you want it to be or not. And therefore you will be subject to capital gains tax. 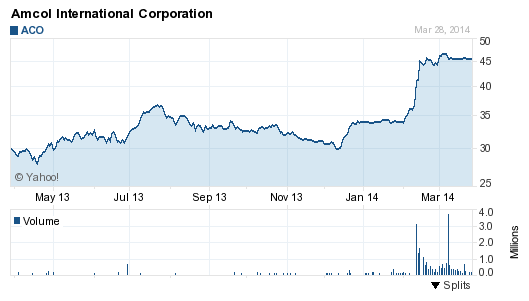 A client who purchased 500 shares on December 24, 2003 at $17.61 per share has a cost basis of $8,805. Now their shares are worth $22,875 and if realized they will have a capital gain of $14,070. At the 15% capital gain rate they would owe $2,110 in capital gains tax plus here in Virginia an additional $809 (5.75%) for a total of $2,919. If they are part of the most productive members of society and live in California the would be taxed at a federal tax rate of 23.8% ($3,349) plus the California tax rate of 12.3% ($1,731) for a total tax owed of 36.1% or $5,079 of their $14,070 gain. One way of avoiding paying this tax is to use the ACO stock as part of your charitable giving. By gifting the stock to charity before the tender offer is executed and your shares redeemed you can avoid trigger capital gains tax. This giving can be done either directly with the charities or through a donor advised fund. 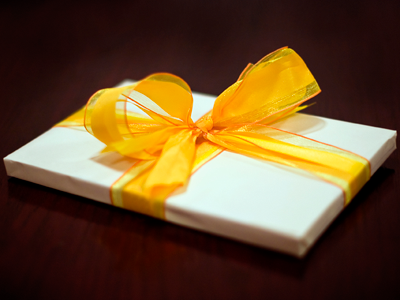 In addition to the normal way of selecting securities to gift when gifting appreciated stock, be sure to consider this technique of gifting tender offers being redeemed.